I do, indeed! 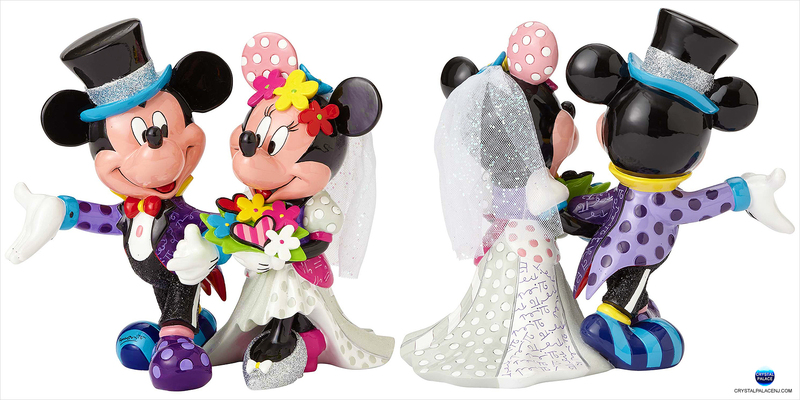 This handcrafted piece by Romero Britto celebrates one of life's most cherished moments. 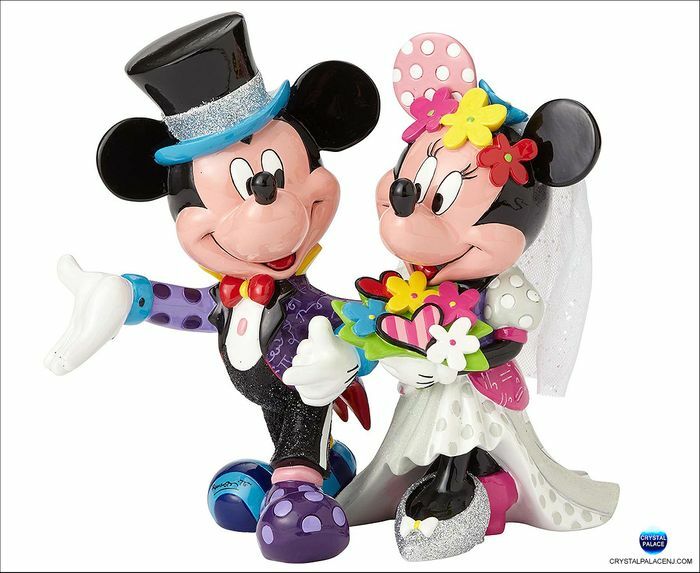 Mickey Mouse and Minnie Mouse are dressed in full wedding splendor, glittering top hat for him and pop color daisies for her!